Come join the University of Melbourne's contingent in a joyful, colour filled occasion and show your support for a diverse and inclusive community at Pride March 2019. In past years the University has been one of the largest groups marching, and once again we’re hoping to field a large contingent of LGBTIQ+ students, staff and alumni, with their allies, led by the VC Professor Duncan Maskell. 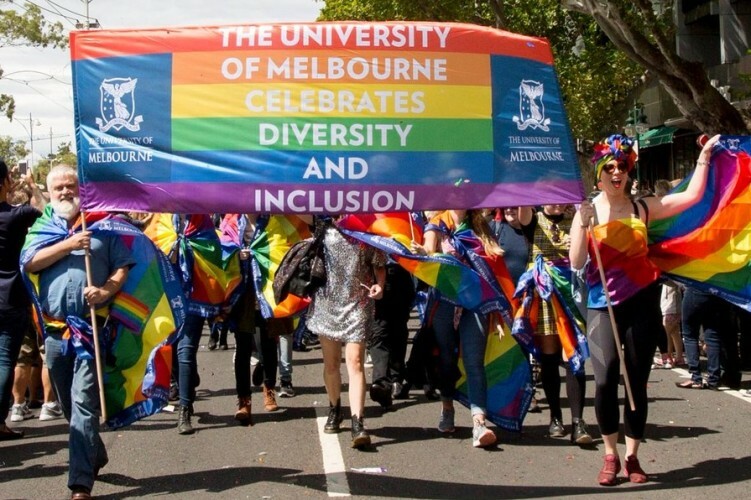 Pride March is the culmination of the Midsumma Festival, Victoria’s premier LGBTI+ cultural festival, and this year will also see the launch of the newly formed University of Melbourne Staff and Student Ally Network. Register your email address, via the Book Now button, to ensure you receive updates about the event (including meeting place, time, marching order).